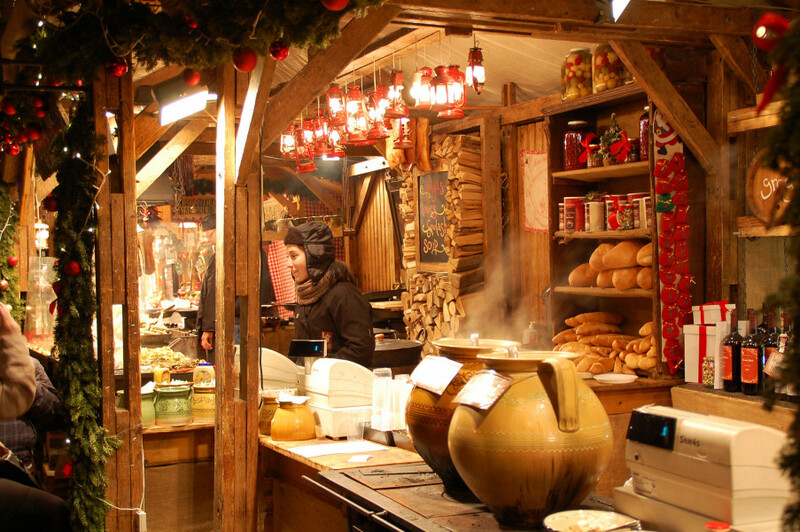 At Christmas time, countless visitors come to Vörösmarty square in Budapest to see the Christmas market. The delicous smell of freshly baked gingerbread and mulled wine permeates the lanes at the Hungarian capital. Over 120 booths feature knitwear, wooden toys, and more. Besides the craftsmen, a variety of musical performances complete the programme. The little ones enjoy a merry-go-round and puppet theatre, while the adults visit exhibitions and watch the craftsmen. Culinary delights include sweet treats such as Kürtős Kalács as well as hearty foods like sausages, bread, and pickles. At Budapest's Christmas market, a special focus lies on preserving Christmas traditions, and creating a unique atmosphere. In 1998, Budapest's first Christmas market was inaugurated. Looking at other European markets, they decided from the beginning only to feature handmade goods. Vörösmarty square was picked as the location, as it is easily accessible on public transport. The tradition carried on over the years, and has since gained popularity and success. Depending on where you come from, take either motorway A8 (München/Salzburg, then A1, A21 and A23 towards Vienna), or A17 (Dresden) and make your way through Austria or Czech Republic to Budapest. As parking space in the city is scarce, we recommend leaving your car at the hotel, and going to the Christmas market on public transport. Budapest is easily accessible by train from many German cities. From the train station, you can take the metro to Vörösmarty square.